Are you looking for a reliable company who can provide you with house extension drawings in Glasgow? If so then why not check us out. We are a professional company who have been providing house extension drawings to people in Glasgow and the surrounding areas now for many years so you can be sure that if you use us that you will be using a company who know what they are doing. House extensions are a choice for many people for different reasons but probably the most popular reason is to create more space in the property that they live in already. Maybe they want to make their kitchen or bathroom bigger, extend a bedroom or even just want to add another room to their home but whatever your reason is for wanting it we can help you. Some people automatically think that when they want to create more space that they should move but this isn’t always the case as extensions can be a great add on to your home and they can also save you the upheaval of moving. We have been providing house extension drawings to people in Glasgow and the surrounding areas for many years now so we have plenty of experience in doing so. If this is a service that you require and you contact us to do it for you then you can expect us to provide you with a fully comprehensive service as well as excellent customer service. We pride ourselves on the high standards that we set and maintain and throughout the process of providing you with house extension drawings or any of the other services that we provide in Glasgow we will keep you informed of where we are at. 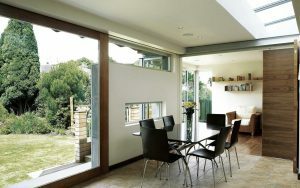 You can read more about what is involved with house extension drawings on our website. If you do require any further information though or if you have any questions then you can call us and one of our helpful team will be able to help you.